Discussion in 'Norton Motorcycles (Modern)' started by mentalrental, May 10, 2018. Just a heads up. For those whom are removing/bypassing the O2 sensors with the kit advertised the blanking off plugs supplied do not fit, or at least not the Mk11 sport. The thread size required is M12x1.25. I've yet to go for a long run but so far so good. 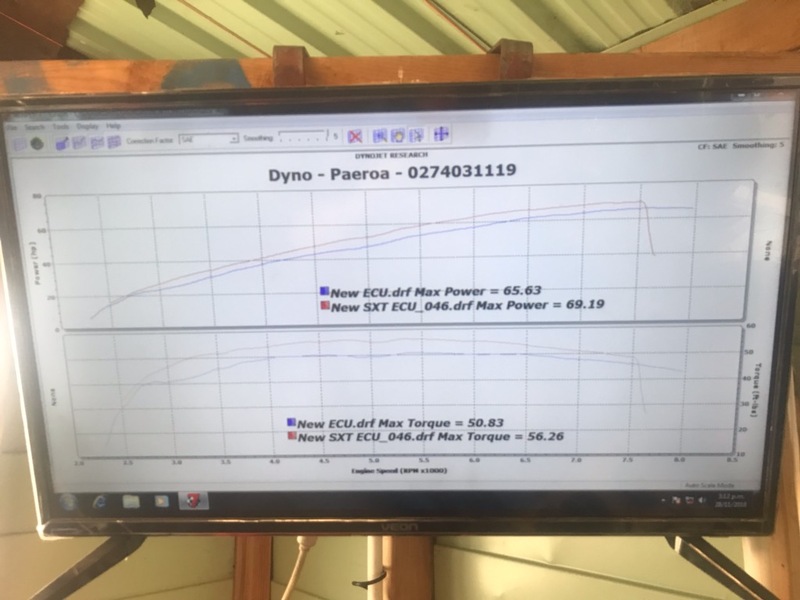 Throttle response does seem improved?? I was having a few problems both in traffic or shutting down after a longish run with the engine fuelling getting confused and clattering to a stop. It would restart immediately and run fine. So I will see if this has been eliminated. I am running them as well . November 2014 Sport with SC ECU running now # 077 - 0116 Map . I will report back after i've had a good long time to collect the data. This will include plug checks with gas mileage numbers. You are right on with the thread size you need to plug them . Yes I heard , Sorry about that. Have you been able to get the Norton aftermarket map to suit the exhaust ? It worked well on my 2016 SF but as my school reports always said “room for improvement “ I think it will be even better with a power commander so she is booked in with the mechanical surgeon. Only by fitting one will I be able to tell. He needs to speak polite English to it. I have a Dominator SS running on the 'race' megas which have baffles retro fitted, and can't get it to idle consitenty when hot - it revs up to 4000 rpm in traffic in the summer. I am thinking about fittign O2 sensors whihc i understdn will help - any experience / comments appreciated. If you are running the Norton Open Race megas then you should already have the 02 sensors eliminated Correct ? That was part of the installation Ive read when Richard-7 and David C. did it . Have you fitted the heat insulator between the throttle body and the head ? The Euro4 bikes get this insulator installed from factory . This part can be ordered from Norton and it should help limit the heat to the throttle body . Hi Tony, thanks for the reply. I have seen the electical sockets for the sensor leads to plug into under my tank but they do not have any eliminator plugs in them? - i ahbve seem them advertised on line buit dfo they make any difference? I have had the heat insulators fitted - Norton did that as I also had the left cylinder not firing whern very hot - that issue has stopped but the idle is still an issue. The map for those pipes call for unplugged 02 sensors . My guess is that plugs will not help you because your downloaded map takes them out of circuit. But , have you tried cleaning inside or even replacing the idle motor ? 4000 RPM is very high maybe you should bring it back to Norton ? Troy, Tony is correct - your bike has a calibration that maps out the lambda sensors so using eliminators wouldn't be necessary. You would need to get SC to do a custom calibration if you wished to reinstate the lambdas. Hi Rob, I fitted the o2 sensors to my SS with megaphones (custom made with o2 sensor inserts) , when I plugged in an OBDII scantool I could see the ECU adjusting the fuel trims and switching into closed loop mode. Pretty sure someone in the factory told me that it would make use of them if fitted. The only difference was switching off the ECU error reporting if it couldn't find them (ECU would just use its internal fuel maps 100%). Anyway, I've purchased an SC Delta 400 and the bike is getting mapped this week. If you have any factory tips/tricks for getting the most out of the engine I'd very much appreciate a pm/email. Hello again , iwilson . lcrken also purchased an SC Delta 400 and has started up the machine with it. I have not head anything since. If I remember correctly you had a New Omex ECU upgrade also. How was your bike running with the New Omex ? Hi Tony, yes he mentioned that to me as well. I got the impression he was trying to map the bike himself, which would be quite difficult without prior experience and a dyno. To cut a very long story short, my bike originally had an SC ecu, which was replaced with an OMEX when the dealer managed to break the mounting tabs on the ECU. This left me with an awful hybrid wiring harness. Not long after that I discovered the SC Delta 400 a fully programmable ECU that plugs straight into the SC wiring harness/plug. The bike has been with the same company that dynoed the bike with various combinations of factory maps and stock/megaphone pipes over the winter. He's been playing around with it in his spare time (he specialises in tuning race bikes). The graph is looking pretty good, but interestingly in terms of peak hp the original long pea shooters have continued to maintain a very slight advantage compared to my megaphones (which are slightly baffled), which just goes to show open pipes don't necessarily give better gains than a more restricted design. But he hasn't finished yet - however it's unlikely there's another 10hp waiting in the wings without making physical changes to the engine. The above graph shows the old OMEX ECU (labeled new ECU), with the factory megaphone map vs. the current state of affairs with the SC Delta 400. Pretty good gains across the board particularly mid range, with peak hp nearly level pea shooter pipes and factory map. Original factory SC ECU, green line stock pea shooter pipes. Like everyone just want a bike that starts, idles and pulls cleanly. A custom map should get me most of the way there. Very interesting graphs there Iwilson, were the long silencers that got the best power the fully baffled quiet ones? That’s quite amazing isn’t it? Maybe the cam is designed to suit the restrictive exhaust. If so, it would suggest that a new cam designed for open exhausts would yield improvements, which is the case on Harley’s for example (similarly old school engines). I doubt we’ll get any of the reputable cam companies to get interested though given the low sales potential. Yes, OX1 is for the left hand cylinder.